Palmitoleic: 3.5 %, Oleic: 47.4%, Linoleic: 15.2%, Fatty acid, Vitamin, Minerals, Omega 3 and 6. 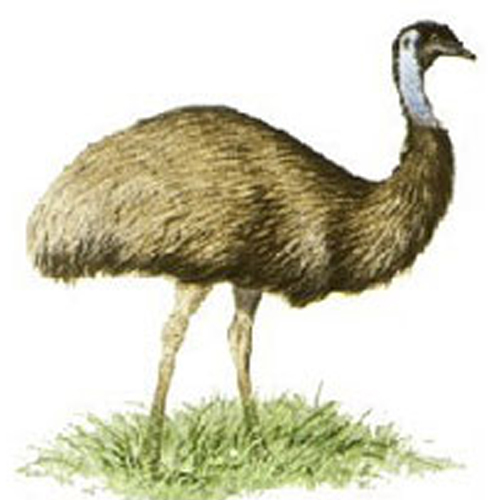 EMU Oil is extracted from the flightless bird Emu who are native to Australia. They weigh around 120 pounds and stand 6 feet tall. This oil is traditional Australian Aboriginal natural oil that is fully refined and processed comprising all the essential nutrients. From centuries it had been collected either by hanging the skin from a tree or wrapping it around the affected area, allowing it to get liquefy in the presence of the sun. By this process the penetration of the essential nutrients get increased. EMU Oil has distinct applications like an emollient. Basically, it is used as an anti-inflammatory, excellent skin moisturizer, great for pain relief, anti aging, eczema, minimizes stretch marks and other skin disease. The oil is engrossed with properties of anti-inflammatory, anti-aging and skin healing.